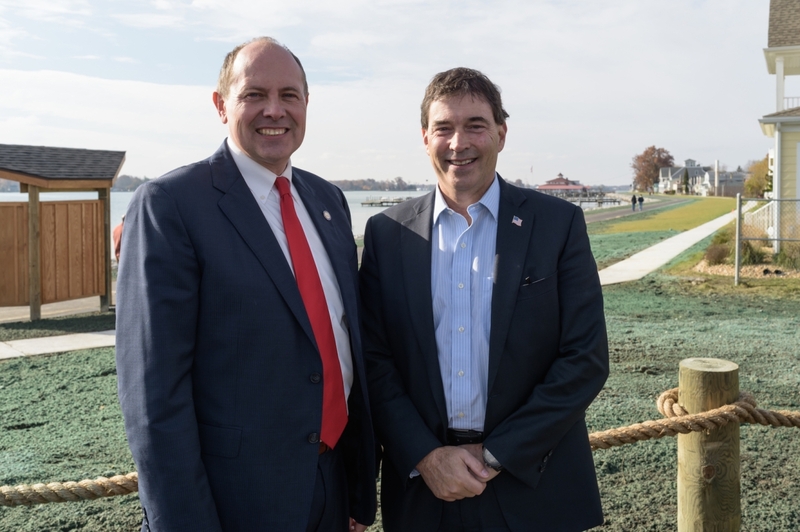 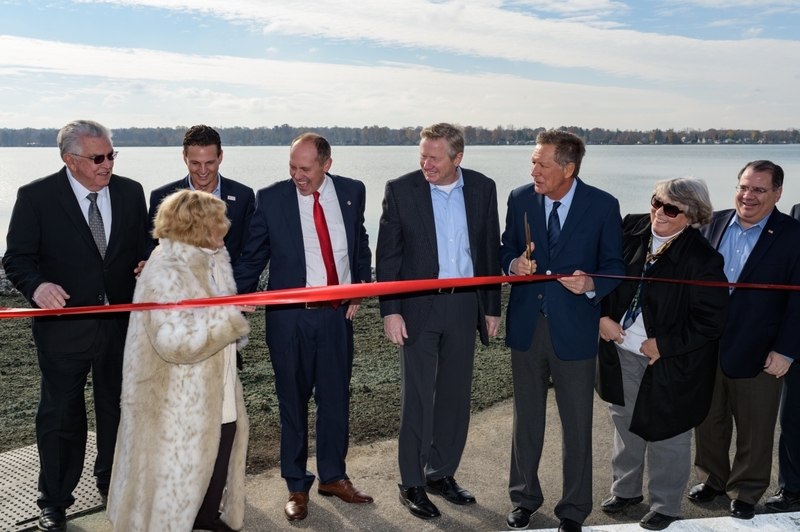 COLUMBUS—State Senator Jay Hottinger (R-Newark) today joined Governor John Kasich and Ohio Department of Natural Resources Director Jim Zehringer in dedicating the newly completed dam at Buckeye Lake State Park. 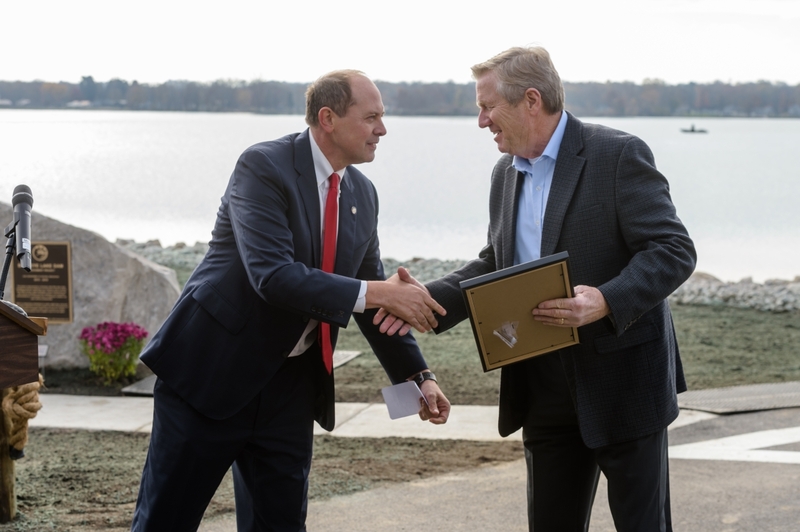 Hottinger commended the Ohio Department of Natural Resources, the U.S. Army Corps of Engineers, construction and engineering firms and Buckeye Lake citizens for their partnership in seeing this project through to completion. 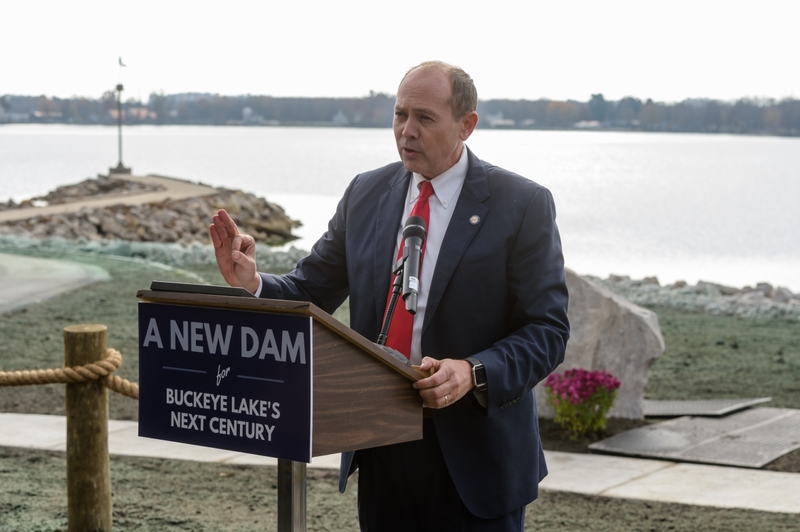 The initial project was estimated to take five years and cost $150 million to complete but it was completed in two years, finishing under budget by $43 million.